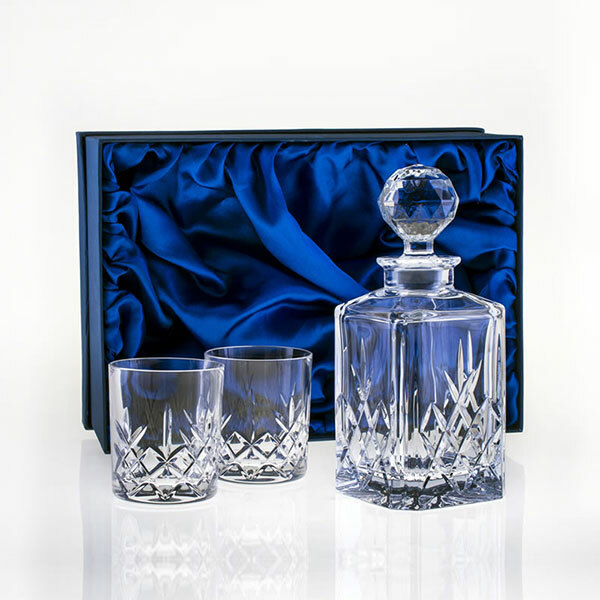 Spirit decanter and tumblers boxed gift set comprising lead crystal square decanter with handcut decoration and two matching tumblers in a lined presentation box. Offered with low, fixed-cost text engraving and free logo engraving. This superb boxed gift set includes one of our most popular spirit decanters, R4, a lead crystal 3/4 litre square shaped decanter with handcut decoration on three sides and a blank panel for engraving on the fourth. 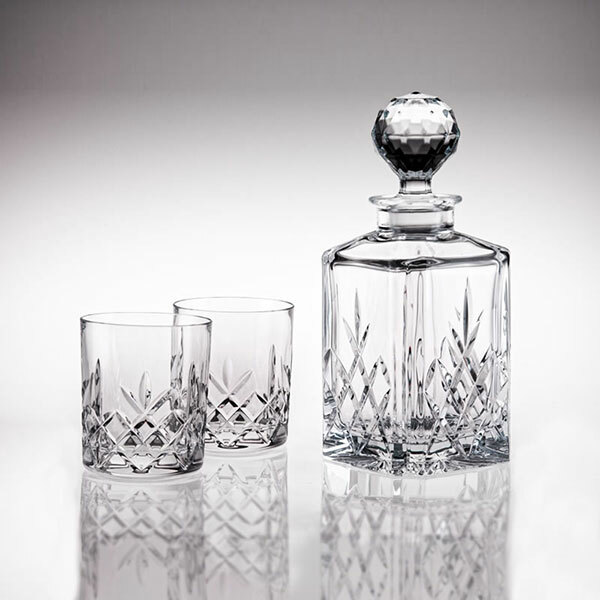 The 24% lead crystal decanter is accompanied by two matching cut crystal whisky tumblers, again each with a blank panel within the decoration that is perfect for engraving. The three pieces are supplied in a fitted, lined presentation box and make an ideal gift for a whisky drinker or brandy lover. Engraving will be provided on the decanter and both tumblers (same engraving on all items). Decanter capacity: 0.8ltr. Weight: 1.8kg. Height: 250mm. Width: 100mm.